Candidates Marianne Lalonde, Erika Wozniak Francis, Justin Kreindler, Ald. James Cappleman, Angela Clay and Jon-Robert McDowell are running for 46th Ward alderman. This story was produced for the Chi.vote Collective, a website designed to prepare voters for the upcoming Chicago municipal elections. On the corner of Montrose and Clarendon avenues, a gleaming tower of glass and steel reaches 27 stories into the sky. It touts more than 370 luxury apartments, an outdoor pool, a state-of-the-art gym and an indoor golf simulator. One of the newest buildings on Chicago’s North Side, the high-rise overlooking Lake Michigan towers over most of Uptown, a Chicago neighborhood with a storied history of battles over gentrification. It also stands as a focal point in the current campaign for 46th Ward alderman. Following one of the busiest building booms in Uptown’s recent history, development in the neighborhood has become a key issue as five residents running against incumbent Ald. James Cappleman say he is allowing the historic community to be transformed away from its affordable housing roots to more closely resemble Lakeview or Lincoln Park. In making their case, the opponents point to the building known as “Eight Eleven Uptown” as a symbol of the neighborhood’s slow transformation from one with plentiful modest and affordable housing to one that has become a hub for high-end development. During a recent neighborhood forum featuring all six candidates, Cappleman’s opponents said he is too chummy with developers and out of touch with the needs of his constituents. They specifically criticized him for allowing the “Eight Eleven Uptown” project’s JDL Development firm to include little on-site affordable housing despite receiving nearly $16 million in Tax Increment Financing, tax dollars that are supposed to be set aside to fight urban blight. Wozniak Francis, 36, and the four other newcomers all promote similar platforms centered on the need for new ward leadership to prevent longtime residents from being priced out. They also are pushing for more investment in neighborhood schools and better methods for soliciting community input on ward issues. In a neighborhood long known for its ample amount of affordable housing, the challengers differ slightly in their plans to preserve the neighborhood as a haven for working families, but stand united against what they see as Cappleman’s failure to demand that new developments have affordable units that fit the neighborhood’s needs. Now seeking his third term, Cappleman, 66, acknowledged that although some new buildings in Uptown may not include many affordable housing units, developers for those projects set aside money aimed at helping even more vulnerable city residents. Cappleman explained that on-site housing requirements are for individuals earning at least $32,000 per year, and many Uptown residents don’t earn that much. He stressed that, instead of adding affordable housing units, developers are able to pay into a city program that subsidizes homes for residents who make less than that. Cappleman took office in 2011 and succeeded longtime alderman Helen Shiller, who was a vocal affordable housing advocate for a ward that also includes parts of Lakeview. Cappleman insists his dedication to affordable housing is unrivaled by his colleagues in the City Council. “We are way, way, way, above all the community areas in providing affordable housing and I am still asking for more,” Cappleman said. 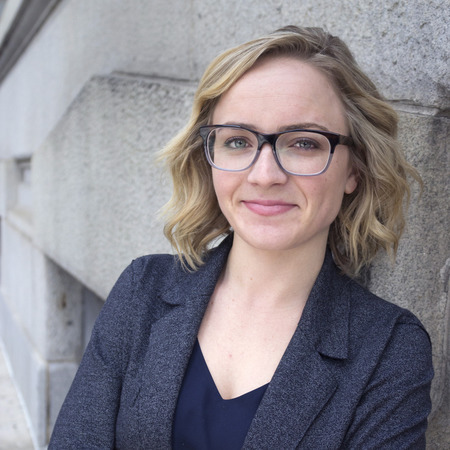 Marianne Lalonde, a 32-year-old scientific research consultant who has lived in the 46th Ward for three years, takes issue with Cappleman’s strategies on affordable housing. If elected, she said she would push to change income restrictions for on-site affordable housing. Lalonde said she’s been disappointed in Cappleman’s lack of dedication to representing the needs of all residents in the ward and his heavy reliance on feedback from an advisory committee she feels is not representative of the community. Cappleman founded the committee to assess potential development projects. It is made up of representatives from neighborhood groups, condominium associations and residents Cappleman himself appoints. Many of his opponents have echoed Lalonde’s complaint the committee is not racially or economically diverse. Cappleman said the committee’s lack of diversity is out of his hands because he allows each participating group or block club to nominate their own representative. Although the committee's decisions are not binding, he insisted he has always followed its recommendations. But his opponents say his dedication to the committee is less about community engagement and more about shielding himself from unpopular decisions. For voters in the 46th Ward, which had one of the highest voter turnout rates in the city during last year’s midterm elections, the distinctions between Cappleman’s opponents may be highlighted in their backgrounds rather than their platforms. Wozniak Francis hopes voters will see her 15 years of experience working as a Chicago public school teacher and a member of the teacher’s union as an opportunity to elect an alderman who will fight for working families. An advocate for an elected school board, she said she doesn’t feel Cappleman has done enough to move that issue forward or fight for neighborhood schools. Angela Clay, a 27-year-old human resource analyst, is stressing her lifelong residency in Uptown.She describes herself as a product of the neighborhood who has attended public schools and lived in affordable housing all her life. “I’m what you get when you partner great public schools with affordable housing and a ward that has an abundance of resources that are currently being faced with extinction,” she said. During the recent candidate forum, which was hosted by the Buena Park Neighbors neighborhood association, Clay emphasized the need to increase enrollment at Uplift Community High School in Uptown, her alma mater. Jon-Robert McDowell, 37, has lived in the ward for three years and has experience working on other progressive candidate campaigns. He said he’s been consistently dissatisfied with Cappleman’s efforts to engage residents on matters affecting the ward. He noted one incident in which the community became frustrated after learning about a proposal to close the Lake Shore Drive ramp at Wilson Avenue. Cappleman has recently come out against the ramp closure following an advisory referendum in November in which the move was opposed by 94 percent of ward residents. Lalonde, who led the effort to get the referendum on the ballot, said Cappleman was quiet on the issue beforehand and did little to inform residents about what was happening.